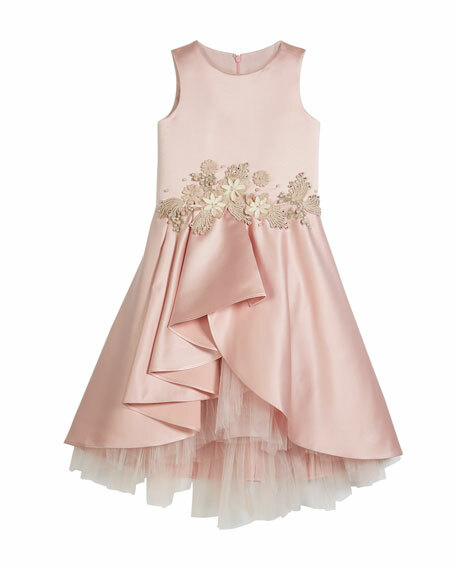 Little Miss Aoki gown with asymmetrical pleated cutaway skirt. Flower appliqués and beading at waist. 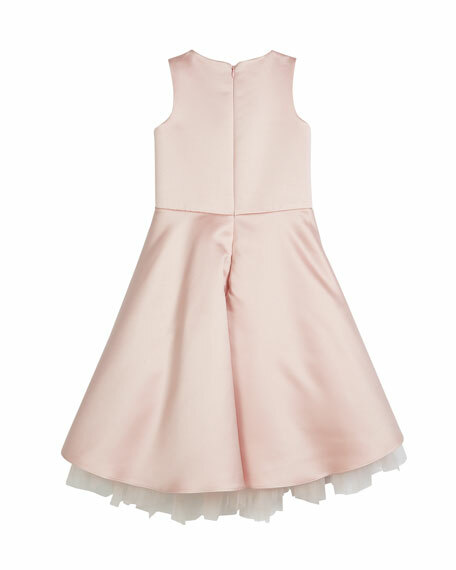 High-low hem with ruffled tulle underlay. For in-store inquiries, use sku #2540747.